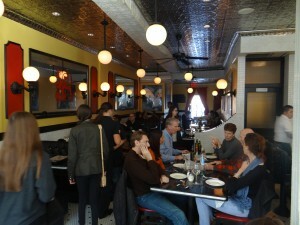 Summary : Remo's is decent pizza place in downtown Stanford. It's not notable, but is certainly sufficient for a tasty spot to grab a pie if you're in the area. 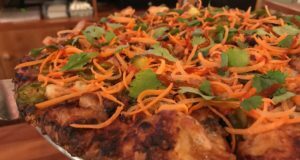 I recently took a trip up to Stamford, Connecticut to try Colony Grill’s famous pies. And while I was in town I decided to stop by another place too. 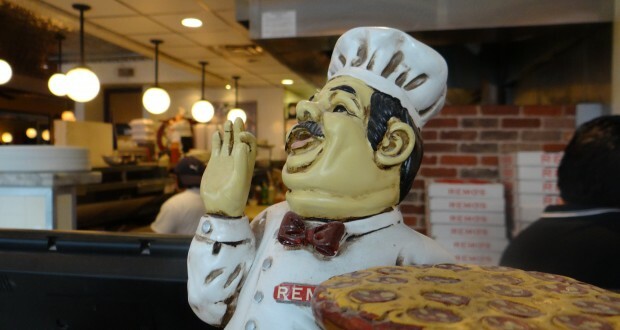 Remo’s Pizza (35 Bedford Street) in the downtown area came recommended by our friends who live in Stamford. 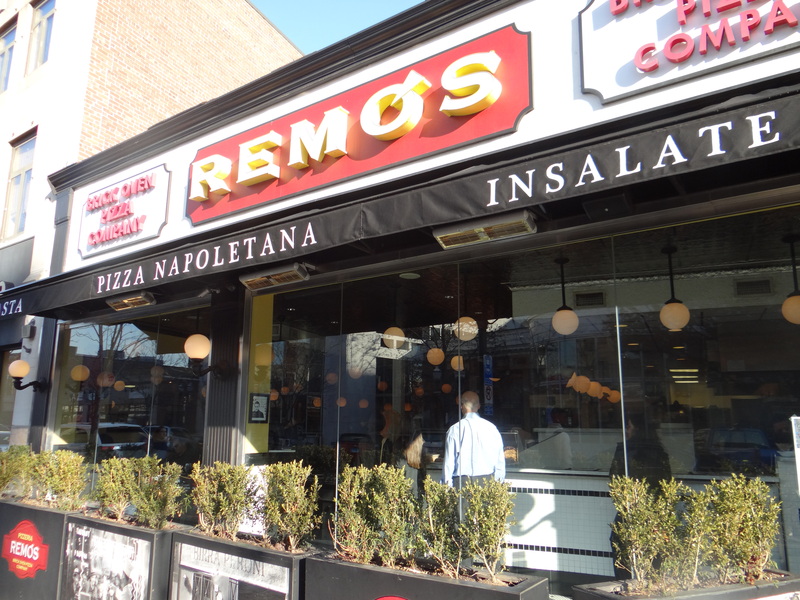 It opened in 2006 — so it’s not quite as old as Colony which opened in 1935 — but the influence is evident, most notably in Remo’s hot oil pie. 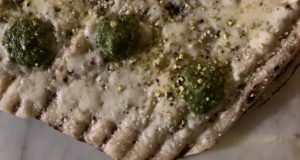 You see, Colony’s signature pie is its hot oil pizza and I’d like to think that Remo’s is paying tribute to it by featuring one of their own on the menu. While Colony’s menu is as simple as it comes — 12-inch pies with 12 topping choices — Remo’s complicates things. The pizza menu is divided into two sections. 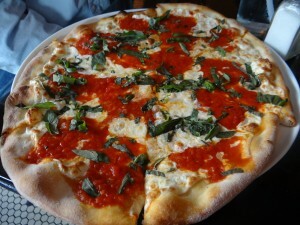 There are 11 “Brick Oven Pies” that are 12 inches and come in “Napoletana” style or “New York” style. The menu notes that Napoletana style means that you’ll get fresh mozzarella and basil on your pie. If you want a 16-inch pie you can add $5.00. Oh and all of the Napoletana pies are $1.00 more than New York pies. So far so good? Good. Well below the “Brick Oven Pies” section there is another section of pies called “Remo’s Gourmet Pies.” There are seven pies listed and each of these also come in “Napoletana” style or “New York” style and the menu lists out prices for 12-inch pies and 16-inch pies. All of the 16-inch pies except for one though, happen to be $5.00 more expensive than the 12-inch pies. 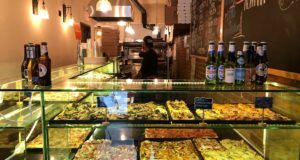 And there is no difference in price whether you want a Napoletana or New York pie. AND there is nothing “Gourmet” about the pies in this section. Confused yet? So let’s say you want a 16-inch “Chicken Parm Pie” Napoletana pie (with chicken, mozzarella, and sauce) — where on the menu do you think that would be? It’s under the “Brick Oven Section” and you must add $5.00 because only the 12-inch pie (for $13.95) is actually listed on the menu. What if, however, you want a 16-inch “Salad Pie” New York pie (mixed greens, tomatoes, and fresh mozzarella)? Well that’s listed under “Gourmet” pies. And the price of the 16-inch pie is listed on the menu (you don’t have to do any math!). It’s $18.95. But wait, can you even get the “Salad Pie” in the “New York” style? I mean, fresh mozzarella is one of the basic ingredients, so would they substitute that out? The point of all of this to let you know that the menu at Colony and the menu at Remo’s couldn’t be more different from one another. In fact, Remo’s has one of the most confusing pizza menus I’ve ever seen! 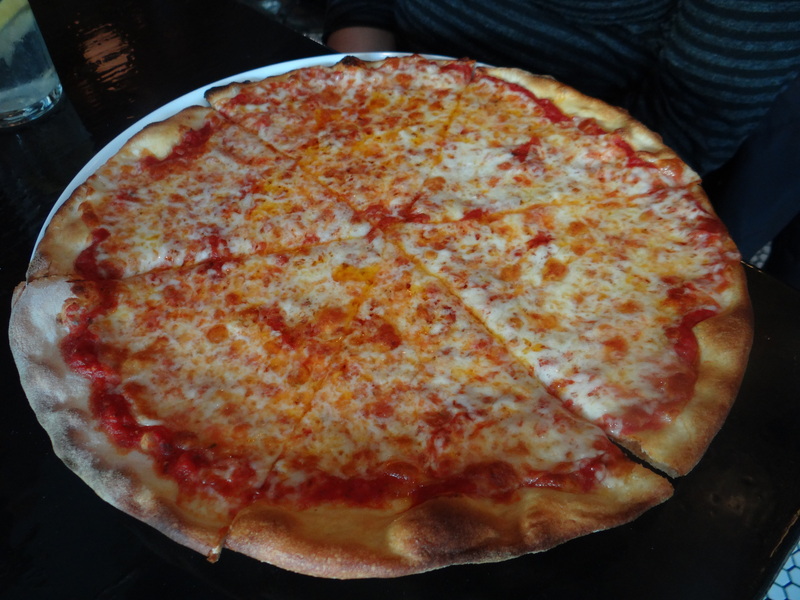 We ended up ordering a 12-inch “New York Style” hot oil pie and a 12-inch “Napolatana Style” margherita pie (which, to add insult to injury, is listed along with a notation which states only on Napoletana style pizza). I liked the pizza. It wasn’t great, but it was certainly sufficient. And at $9.50 and $8.95 respectively, it makes you appreciate non-New York City food prices. The hot oil pie was not as good as at Colony, but if I weren’t comparing it to that, I might think more highly of it. The Margherita pie was standard and came heavy on the sauce, light on the cheese. 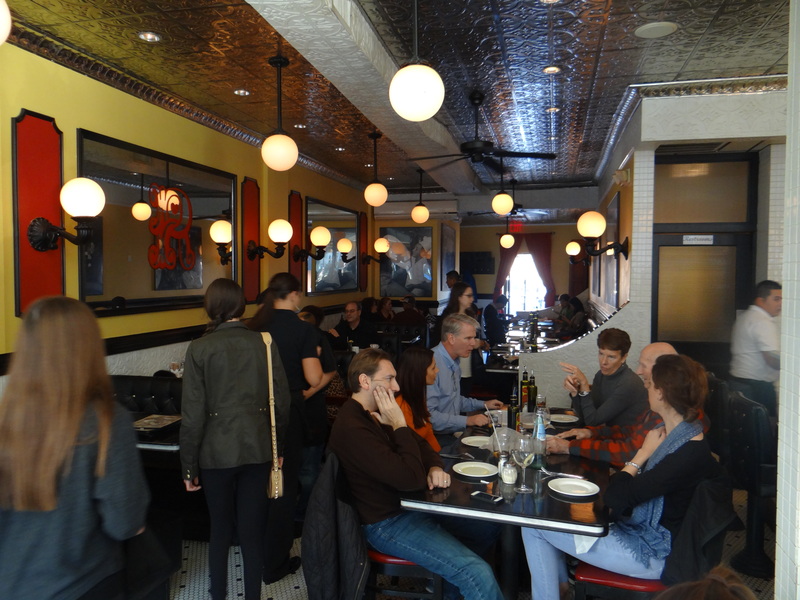 Remo’s has a laid back vibe. There is a bar, but also a few dozen tables and some outdoor seating. There were a lot of families there too. It’s a very neighborhood-y place and was pretty crowded even though we were there during an off time on a Saturday afternoon. If I lived around the corner, I’d hit it up every now and then. But it certainly doesn’t warrant a trip out to Stamford solely to dine there.